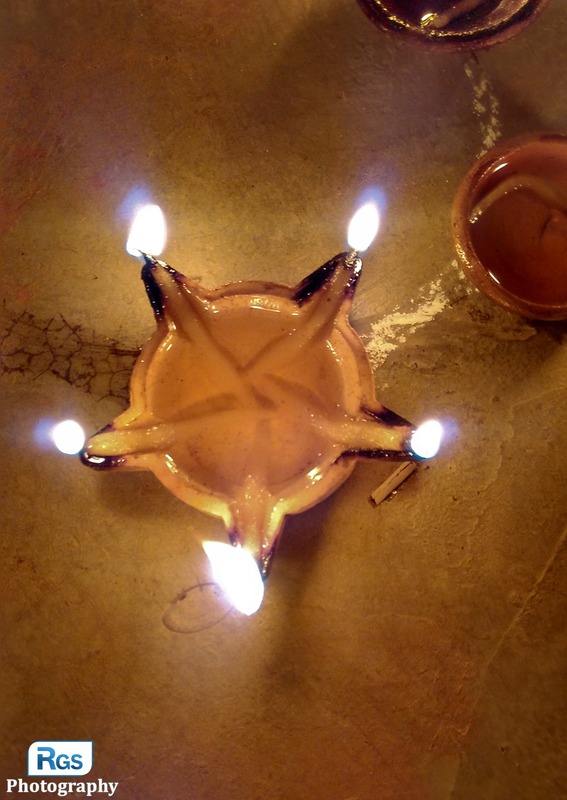 I captured this photo of the “Dipak (In other word, Oil Lamp)” at the day of the Diwali. At the late evening of the day of the Diwali, My cousin sister made the rangoli by using the diyas (Diya is the Hindi word and Divo is the Gujarati word). Generally, These diyas made from the clay. See the full rangoli of the diyas at: See Full Rangoli by Clicking Here. This photo captured using the Redmi 2 Prime Smartphone.